After more than 30 years of civil war, invasion and occupation, Lebanon is prospering again, and the downtown area of Beirut, the capital, has risen from the rubble. Among more than 400 projects are a new waterfront area, parks, world-class hotels, high-end shops and restored monuments, churches, mosques and even the synagogue. 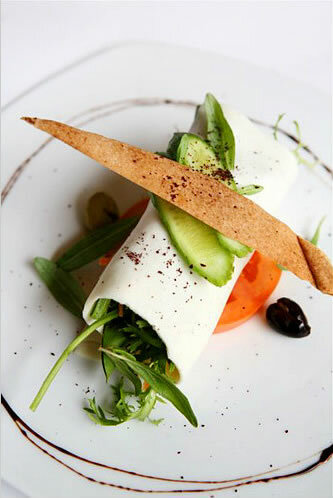 “We are bringing in world-renowned chefs to make Beirut the food capital of the Middle East,” said Joseph Asseily, chairman of Beirut Hospitality, a division of Solidere, the Lebanese company in charge of the downtown development. Joël Robuchon, Yannick Alléno, Antoine Westermann, the Parisian baker Eric Kayser and perhaps even Jean-Georges Vongerichten are among the marquee names poised to draw tourists and cosmopolitan locals to the once devastated quarter. But while some Lebanese might dare to try Mr. Robuchon’s eel with foie gras, when it comes to their own cuisine, tradition rules. You’ll find croissants seasoned with the spice blend zataar in bakeries, but that’s about as far as most chefs dare to innovate. A few restaurants are adding Asian or Mexican dishes to Lebanese menus, but generally it’s hands off when it comes to classics like hummus. Lebneniyet, a Lebanese restaurant in the rebuilt area, prides itself on authenticity rather than creativity. The dozens of cold and hot plates that come under the heading of meze — like hummus, tabbouleh, fattoush, eggplant purées, little grilled sausages, savory filled pastries, assorted kibbees and the like — are appreciated according to the finesse of the preparation. 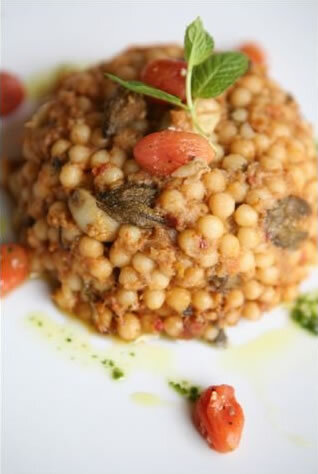 Restaurants serving Lebanese food are now starting to feature ragouts, often vegetable-based, that typically were served only at home. Comfort food, yet something new. Advancing this trend there is Tawlet, which means “kitchen table” in Arabic. It’s the airy, informal restaurant that Mr. Mouzawak opened in a fringe area of Beirut last November, where home cooks from villages around the country prepare regional specialties. These often amount to discoveries for Beirut residents. “It’s like a food museum every day,” Mr. Mouzawak said. His buffet included hummus made with broad beans instead of the usual chickpeas, enough of a departure. Kibbee was made with raw fish, not raw meat. And a dish called siyadieh, which usually combines fish with rice, was done with frik, a roasted green wheat that is cooked like a pilaf. Lebanon’s larder is extremely rich. Almost anything, including American beef, can be imported, and even pork is sold, a rarity in an Arab country. In the countryside, farmers set up impromptu stands along the roads with gorgeous fresh favas, green beans, strawberries and artichokes. The produce at Souk el Tayeb, the farmers’ market that Mr. Mouzawak has organized on Saturday mornings in downtown Beirut, is nothing short of mouthwatering. Fish restaurants like Chez Sami, which overlooks the sea just north of the city, display beautiful, mostly local catches that are simply fried or grilled. And yet the array has its limitations. 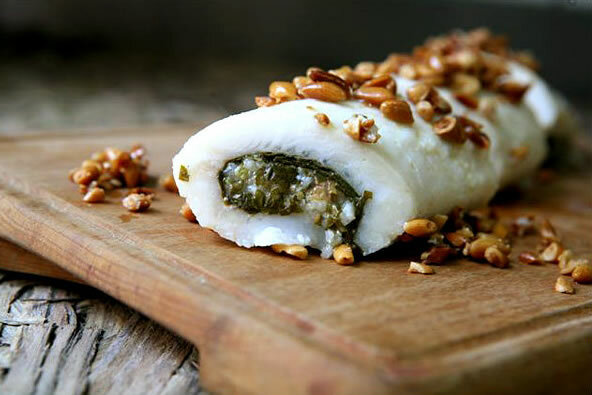 “Lebanon has some terrific ingredients they don’t use, like sardines,” said Mourad Mazouz, an owner of restaurants in London and Paris, who is on track to open in the newly developed area with a Moroccan-French-Lebanese menu. Both Mr. Robuchon and Mr. Alléno said they were going to try to use as many local ingredients as possible. Unlike the restaurants, Lebanon’s wineries are trying some new approaches to build on a tradition that is said to go back 5,000 years. Ixsir, a new winery near Byblos, north of Beirut, is selecting grapes from farmers in several regions to find the best terroirs, according to Étienne Debanné, the owner. Massaya, in the Bekaa Valley, is experimenting with tempranillo, the red grape of the Rioja region in Spain, and it is making a white wine with a blend that includes obeidi, the native grape said to be a precursor of the French clairette. The unusual white wines of Château Musar, perhaps the best-known Lebanese label, have always been made with native grapes. 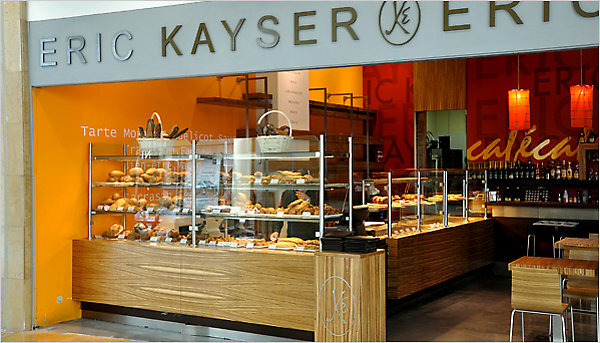 The Parisian baker Eric Kayser has opened stores in Beirut.